The R2000 was unveiled at the FESPA Global Print Expo in Berlin, and coupled with the new HP Latex White Ink – which helps printers deliver the glossiest white on transparent and coloured media. The new printer has a high-speed quality up to 88 sqm/h (947 sqf/h) of continuous loading, 14 automatic independent chambers and can print up to 100 kg rolls. HP says it also prints with no smell, and can accommodate materials up to 2.5 m wide and up to 5 cm thick. 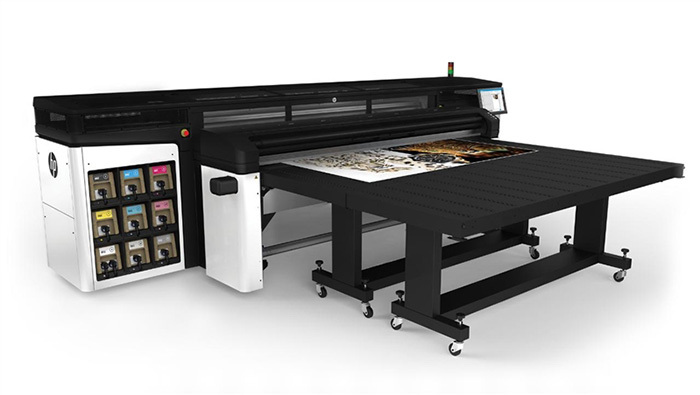 While citing a photo merchandising report from Infotrend that says the market for large photo merchandising grew seven per cent in 2017, HP also unveiled its new DesignJet Z Printer series, the new HP DesignJet Z6 and Z9+ Printer. The two are available in 24- and 44-inch formats, and offer print service providers a broad range of graphics and technical applications. A new vertical trimmer is featured on select models for rapid high-quality production from professional photo quality prints to retailer signage. The result is a printing process that is 2.5 times faster, and a post-production process that is 20 per cent faster. HP says the HP Latex R2000 Printer will be available in June, but will vary by country. This entry was posted on Tuesday, May 22nd, 2018 at 9:14 am	and is filed under HP, printer. "Bitmap-Based 3D Printing For Hi-Def Anatomical Models"
"Scientists In UK Create Human Corneas Via 3D printer"